Van Long Natural Reserve, known as the “Preserved Nature Area” of Ninh Binh, offers wonderful views of landscapes and rural life. Compared to Tam Coc and Trang An which are more popular tourist attractions, Van Long is much more primitive and completely untouched. Rivers, mountains, grottoes, rice paddies, old houses, friendly locals, tiny-bamboo boat riding… all contribute to make Van Long a must-see for the travelers. Tourists who come to admire the reserve will have the opportunity to view rich flora and fauna, particularly the rarely-seen silver langur, within the most bio-diversified wetland in Vietnam, according to international and national research findings. Van Long Natural Reserve is within walking distance from Emeralda Resort Ninh Binh. 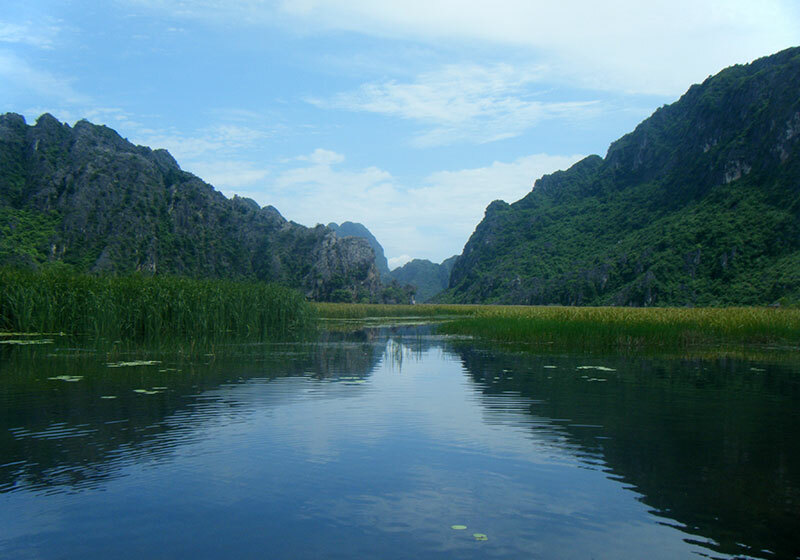 Short Description: Van Long natural reserve is located in Gia Vien district, Ninh Binh province. It is far about 90 kilometers from Hanoi to the south. Van Long is not only a natural reserve of wetlands but also the cultural relics. Van Long is a legendary land, a beautiful area and the largest natural reserve of wetlands.